Dash (DASH)(formerly known as Darkcoin and XCoin) is an open source code cryptocurrency based on Bitcoin software. In addition to the set of functions, Bitcoin offers instant transactions (InstantSend) and anonymous transactions (PrivateSend). Cryptocurrency was developed by Evan Duffield, who first offered his work on the anonymity of transactions for Bitcoin, but his developers refused to make changes to the source code. 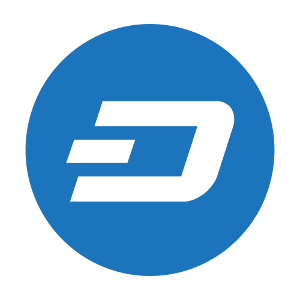 Dash has been working since the beginning of 2014, having received its current name in 2015. Dash is based on the blockchain and works with the Proof of Work (PoW) consensus mechanism. Miners are trying to solve complex problems in a similar way to Bitcoin, getting a reward for their solution and adding a new 2 MB block to the blockchain. Thanks to the high level of protection and transaction speed the Dash crypto currency is popular. Since September 2017, Dash coins can be bought and sold using a linked bank account on the London crypto exchange CEX.IO. And in early October it became known that Dash would start supporting the cloud platform of Wirex personal banking. By the mid-October 2017, one Dash coin is worth $ 307.6, and market capitalization is $ 2.343 billion (the sixth place among all the Crypto-currency upon this indication). One of the tasks of the Master node network is the execution of PrivateSend transactions: in order to achieve anonymity of the transaction, the transferred amount is divided into several equal parts.